Travel allows for a glimpse into another life—a different pace, a divergent culture, an opportunity to live as someone else, if only for a short time. These differences may be large and bold, shouting out from every brick and every stone, or they may be quiet and subtle, a difference in the smell of the breeze, but the variations are there, waiting to be detected. Last week, I was in Vermont on a "bake-cation," a term coined by my fellow classmate, where I happily spent my entire holiday in the kitchen, taking baking classes to learn the science of pastry. There was no sightseeing or a rushed to-do list; it was just butter, sugar, and me. After a long day on my feet, my evenings were spent sitting in a rocker on an old-fashioned porch, a glass of wine in one hand and a homemade pastry in the other, listening to a birdsong I did not recognize. It was a dream. I'll give you details about the classes soon. Stay tuned. When traveling in New York City last June, I started the first morning with a green banana smoothie from a small shop down the street from the hotel. Even though I had a list of coffee and bagel shops to visit, the drink was so refreshing that I tossed the list to the wayside and got myself the same exact smoothie every morning hence. The drink I am sharing with you today is inspired by that smoothie, featuring bananas, peanut butter, avocado, and spinach. Though the smoothie may appear green, the flavor of the banana and peanut butter mask the others, making it more pleasant for adults (and kids) alike. After a week of consuming more than my fair share of butter, sugar, and cream, I could use a few more of these smoothies to get back on track. Banana Peanut Butter Green Smoothie acts as a great start to the day, especially during the warm summer months. The smoothie's primary flavors are of banana and peanut butter, which cover up those of the green additions. Honey is added for sweetness, and milk is used to blend. I preferred almond milk in this recipe, but soy milk or regular cow's milk will do just as well. Place all ingredients into a blender and blend until smooth. Pour into a glass and serve immediately. I am perpetually in the pursuit of a good brownie. There is something about the rich, dense chocolate fudge texture that I dream about after a good meal. It's a craving that follows me around as I mix up a batch of waffles for breakfast or it tucks me into bed with a bowl of ice cream at night. 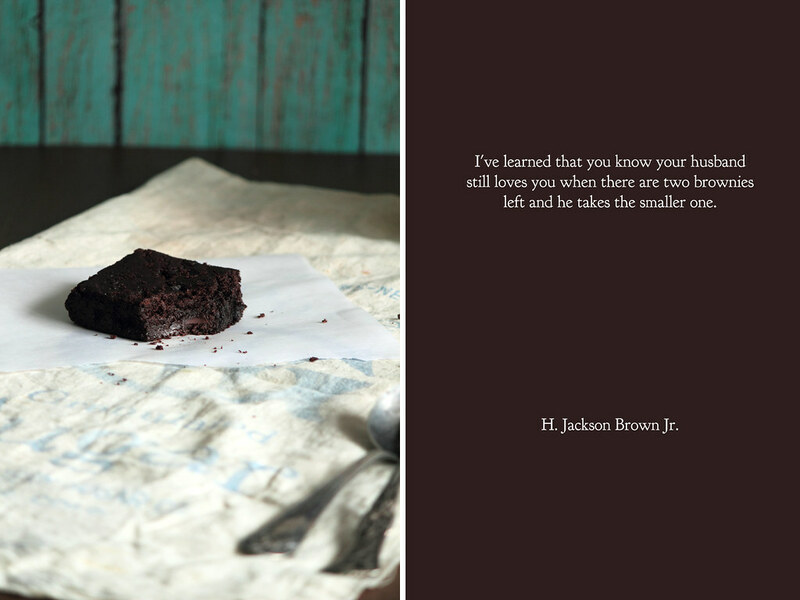 Every few months the brownie bug bites and I find myself in the kitchen with batter up to my elbows trying to create the next great brownie. Sometimes I succeed and the results are beautiful. Sometimes I don't succeed. I often keep those moments to myself, a private moment to mourn as I take a fork after the brownies that didn't live up to my expectations. 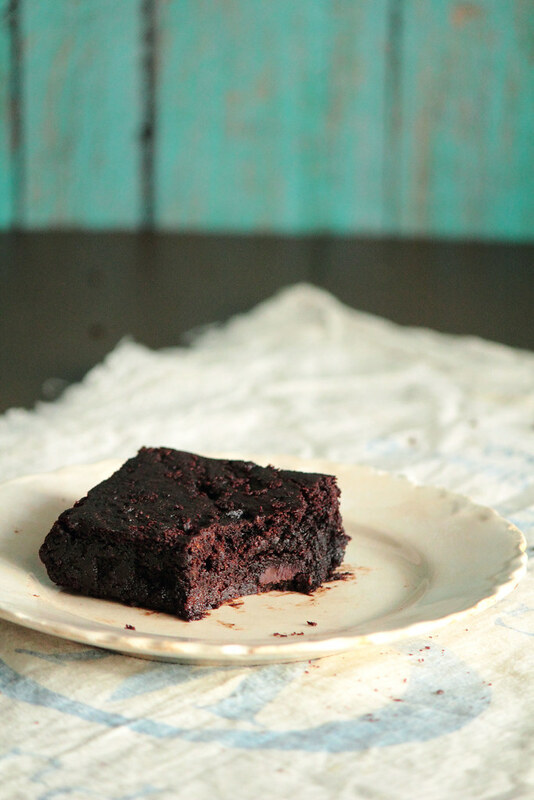 Earlier this month, I had lofty goals of making a delicious vegan brownie to share with you. Brownies often use a substantial amount of butter for flavor and eggs to set the brownies into the classic texture we know and love. There would be a challenge, but after a little research into vegan substitutions and comparing vegan recipes side-by-side, I was certain I would succeed. After an hour of interrogating the internet for information, I set off to make what I was certain to be the next great vegan brownie. Hot from the oven, the smell filled the house with a fantastic aroma. I dug in with a fork before allowing the brownies to cool to a palatable temperature. The first bite made me crinkle my nose in disgust. After all of my hard work, it seems I had managed to create the world's worst brownie. It was thick, cake-like, and stuck to the roof of my mouth like paste. I gave up on vegan brownies, believing them impossible to create. Even so, my craving for a good brownie didn't falter. A few weeks later I found myself back at the kitchen counter with a wild idea. 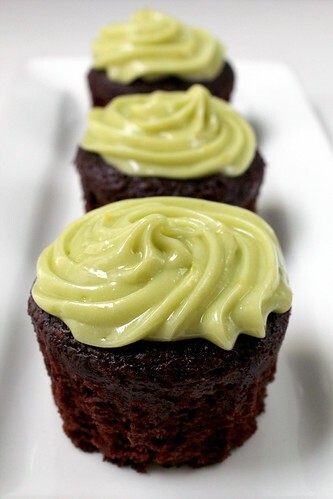 Remembering these chocolate avocado cupcakes, I channeled the idea, using ripe avocados with a few other healthy ingredients (and tossing in a few chocolate chunks for good measure). When I pulled these out of the oven, my avocado-hating, box-mix-brownie-loving sister and I managed to finish off half a pan of the brownies before they could even cool off. Perhaps the moral of the story is that sometimes you need to throw research out the window and trust your own baker's intuition instead. Or, maybe it's that vegan brownies can actually be delicious and you should give them a try to taste them for yourself. I think I like the second one better. 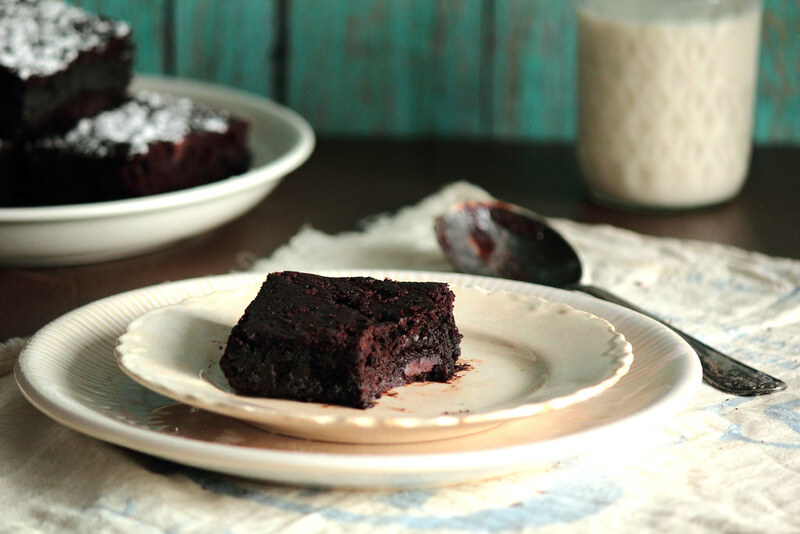 These vegan brownies are rich and dense like chocolate fudge. A surprising mix of good-for-you ingredients, including whole wheat flour, olive oil, and avocados, come together to create a relatively healthy brownie that makes you believe dreams can and do come true. Don't be wary of the avocado; it may be an unusual addition, but the flavor is completely masked by the cocoa and chocolate chunks. 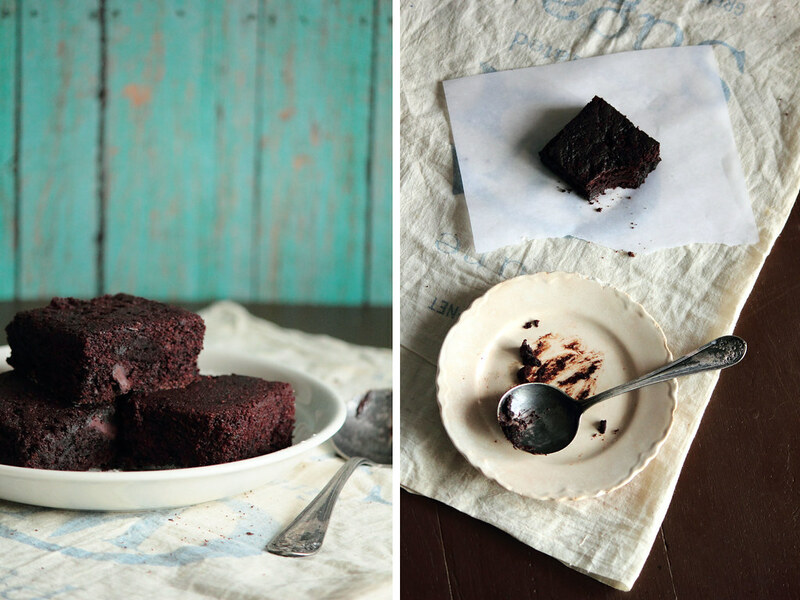 Please do not over-bake these brownies or they will end with a texture similar to cake. In fact, I urge you to under-bake the brownies just so the middle sets and the batter is no longer runny. There is nothing in these brownies you couldn't eat raw (in fact, much of the batter disappeared before the pan made it to the oven) so don't be frightened to take the brownies out of the oven before a toothpick inserted into the center comes out completely clean. The idea for these cupcakes visited me in a dream. A real, honest-to-god, its-three-in-the-morning-and-I'm-under-the-covers dream. When I groggily woke up the next morning, I sweetly remembered dreams filled with chocolate cake and green avocados. As consciousness slowly regained, I remembered I had made an apple cake the night before, so I threw the idea of the avocado cake to the wayside as the prospect of a sugar-laden, pretend-healthy cake breakfast whispered to me from the kitchen. 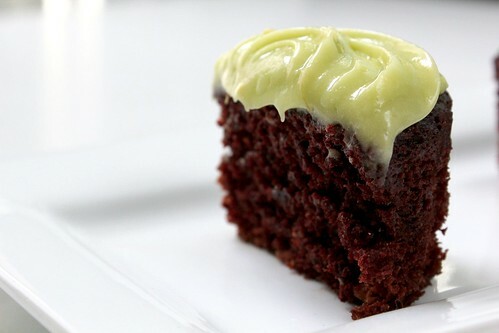 But the more I thought about it, the more delicious a chocolate avocado cake sounded. So delicious, in fact, that I couldn't think clearly the rest of the day. My curiosity was piqued. After work, I immediately ran to the supermarket and rummaged around for the ripest avocados I could find. It took me 15 minutes and several hundred fruit handling assaults to find the ripest avocados. I was a mad woman with a mission. After all, these cupcakes had come to me in my dreams, clearly it was destiny! 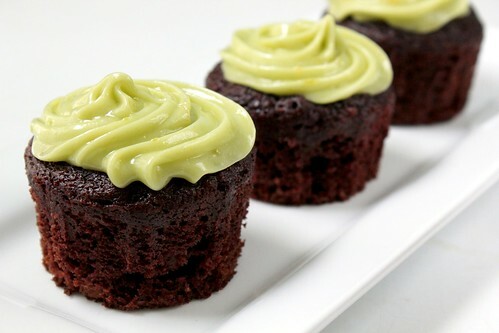 By themselves, these vegan chocolate avocado cupcakes are a perfect representation of a delicious, moist cupcake with the perfect crumb. But with the avocado buttercream? Game changer. This combination is absolutely lethal. 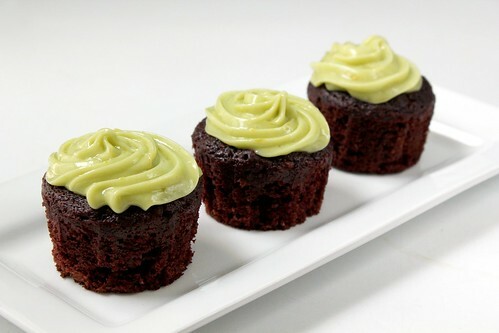 The avocado taste in the buttercream is subtle, yet present, and has such a fantastic natural coloring. I would seriously take this avocado buttercream over the traditional buttercream any day. Any day. It is that good. I shared these cupcakes with my fellow grad students and they were unanimously a hit. I need to dream about pastries more often.